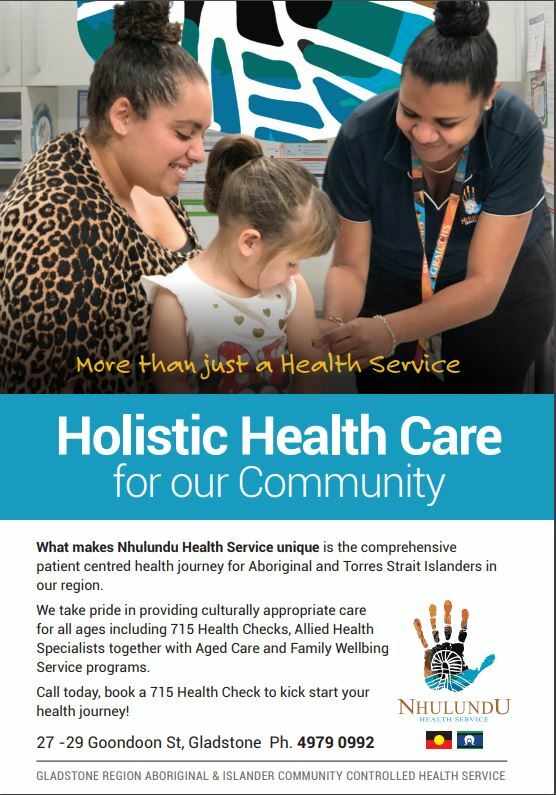 Nhulundu Health Service is uniquely placed to take care of the Health needs of the Gladstone Community, and more specifically the Indigenous population. staff, but we are able to offer visiting wrap around specialist and allied health services, that will deliver the best possible health care right here in Gladstone. This allows our clients to receive treatment and recover locally, in familiar surroundings and close to family.